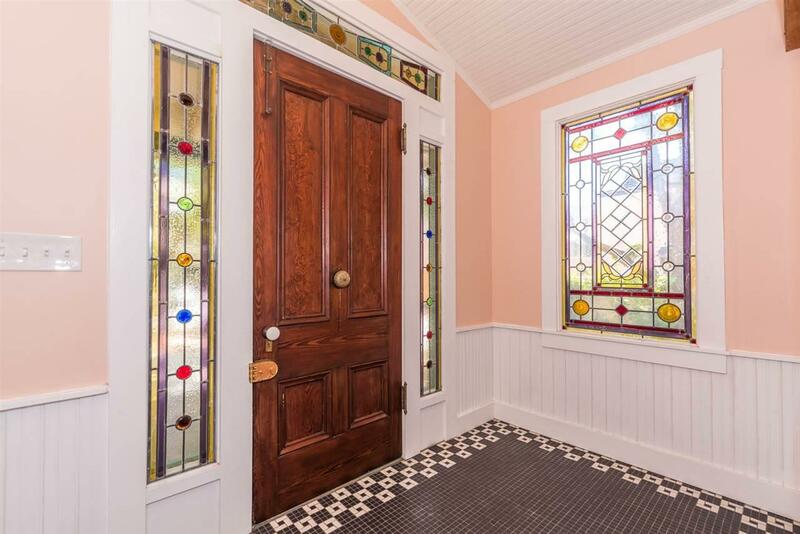 Circa 1899, this irresistible 2,048SF 4/2home and detached 648SF 1/1 cottage could never be pegged by the naked eye as "old". 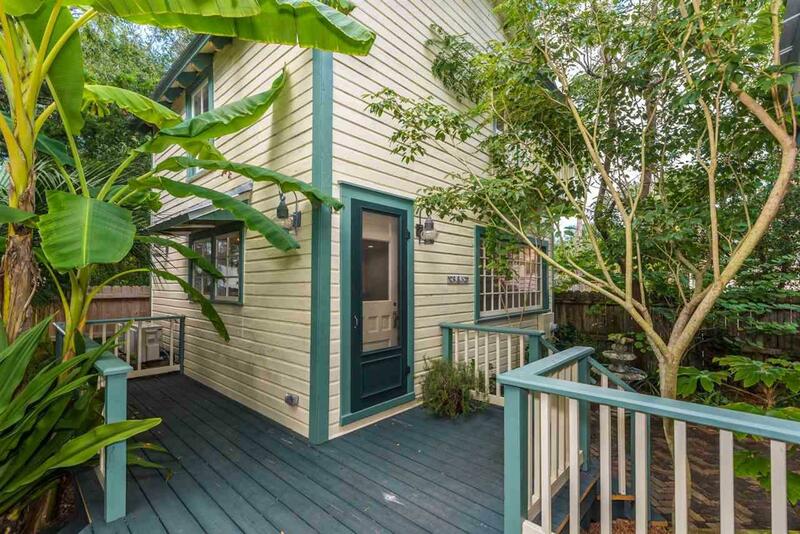 Presiding from their Marine St perch a block from the Matanzas River waterfront, this fully updated property has unmatched downtown accessibility but you'd never know it by its peaceful setting. 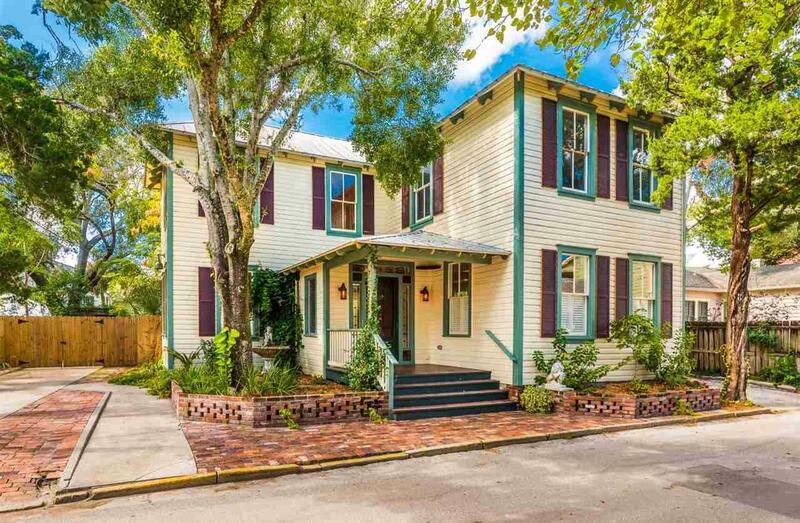 With no detail overlooked, this house and cottage are stand outs in a bountiful smorgasbord of architectural gems found in the Historic District. Since 2013, a complete renovation with an eye towards preservation along with a healthy dose of joyful whimsy has imbued the house and cottage with great personality. 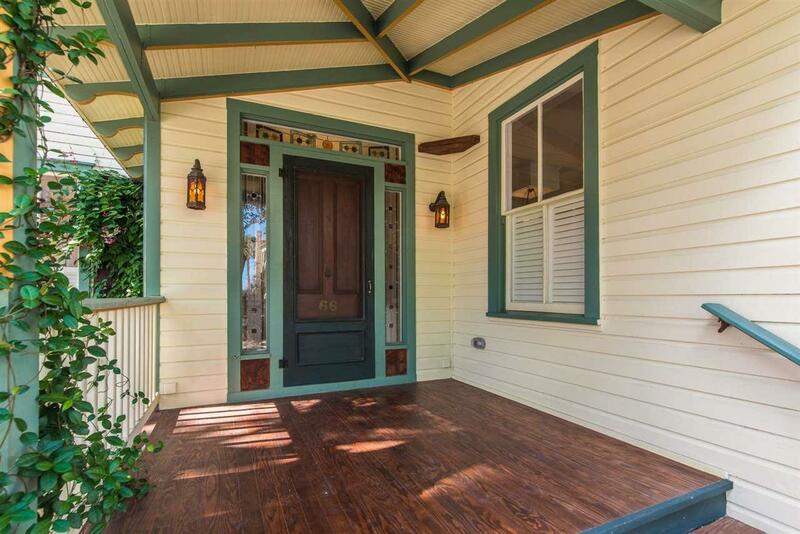 The front porch bids you welcome as you approach the entry flanked by stained glass panels - beautiful all day, but especially when lit in the evening. Honey-hued pine floors, rustic beams, art deco tile, soapstone counters, wavy glass windows and a whole host of other design elements add a rich texture throughout. Kitchen, living and dining flow together for a decidedly modern arrangement in the generous space. 1st floor overflow bedroom is adjacent to full bath and laundry room. Upstairs, master and 2 additional bedrooms share a bathroom. Large windows invite in diffused sunshine and provide a treetop view from every perspective. Kitchen French doors open to deck and patio while the cottage has its a little bricked courtyard and fountain just off its own 2-car driveway. Ideal for family, friends or as a rental (minimum 30 days), the 2-story cottage is a little jewel. Surrounded by large windows overlooking the Historical Society garden, your guest list will be long. The courtyard off main deck is walled for privacy offering ample space for entertaining and a bit of gardening. South driveway can handle 3-4 vehicles and more if you open the gate - a rare thing downtown! A 3-block stroll along the bayfront leads you to our central plaza where art, music, innovative food and drink and a host of things to see and do are waiting to be discovered.